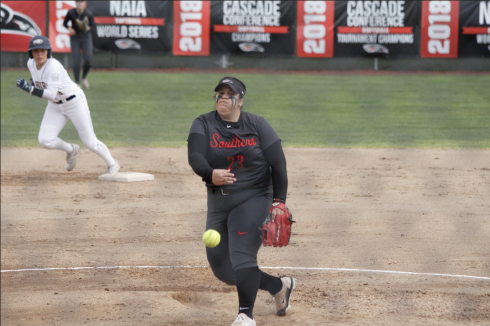 The Southern Oregon softball team opened the season with a 1-2 performance at the Simpson Tournament on Friday, falling to No. 11 Azusa Pacific 3-2 in the opener and falling 8-6 to No. 8 Concordia (Calif.) in the nightcap with an 8-5 win over Holy names in the afternoon. Southern Oregon, 1-2 on the season, held late leads against both ranked teams. The Raiders return to action tomorrow with three more games as part of the Simpson tournament. As of 10:30 p.m., stats had not been made available by Simpson for Friday’s games. The Raiders led 2-1 over Azusa going into the sixth inning on the strength of an Irene Barrantes home run, but the Cougars tied it up with a run in the top of the sixth and scored the eventual game-winner in the seventh. The Raiders finished with two runs on four hits with one error, while Azusa scored three runs on seven hits with four errors. Karlie Stephens took the loss for SOU, while Mariah Worley picked up the win for the Cougars. The Raiders bounced back with an afternoon victory over Holy Names. Southern Oregon scored four runs in the second and added two more in the fourth and fifth innings to pick up the 8-5 win. Barrantes doubled for SOU and Ashley Lowe and Jessica Flores each hit home runs as the Raiders pounded out 10 hits in the win. 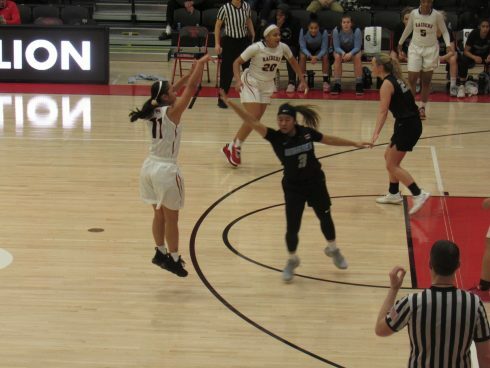 Chelsea Talbert started and earned the win for SOU and Stephani Fairclogh took the loss for Holy Names. It looked like the Raiders might end the day with an upset of a top-10 team, but Concordia tied it at 6-6 in the top of the seventh and scored two runs in the eighth to knock off the Raiders. Southern Oregon finished with six runs on seven hits with three errors, while Concordia scored eight runs on 11 hits with no errors. Melissa Corn led the way with three runs batted in for SOU, but the Eagles got home runs from Katie Carson and Bryana Simpson in holding off the upset-minded Raiders. Jordyn Kurtz pitched the complete game and took the loss, while Jennifer Simmons earned the win.